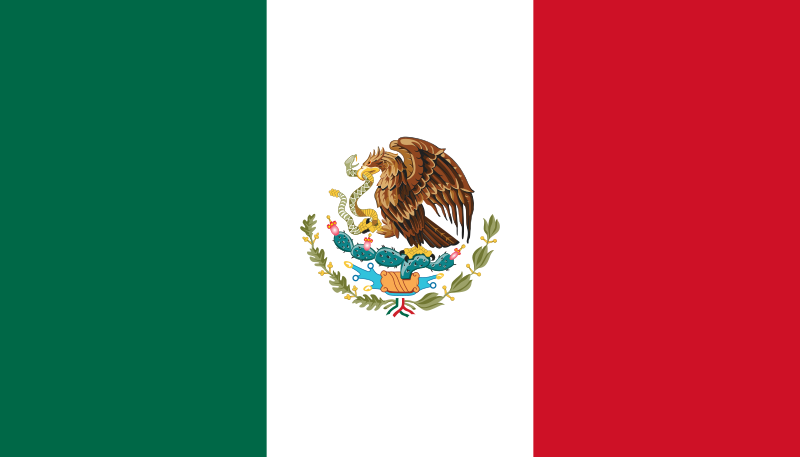 The basic design of the flag of Mexico is taken from the French Tricolor flag. The red, white and green are the colors of the national liberation army of Mexico. The coat of arms (centered) in the white band is the badge of Mexico City, the country's capital. Its main feature is an eagle, and it is said that an Aztec legend told them to build their new city on the exact spot where they saw an eagle sitting on a cactus, eating a snake. 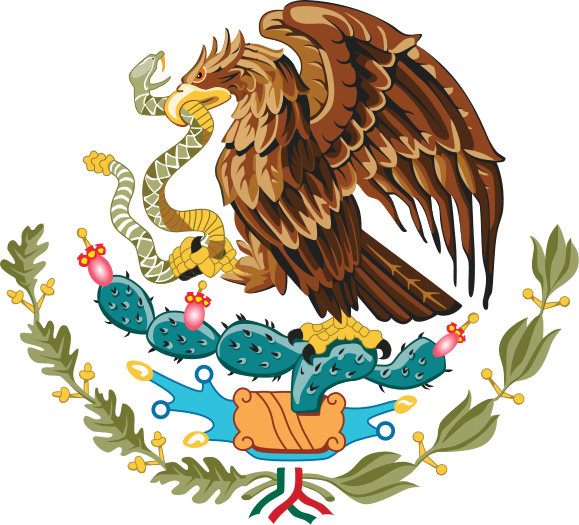 The coat of arms, also used in the Seal of the United Mexican States, depicts a Mexican Golden Eagle perched on a prickly pear cactus eating a snake. This symbolism had strong religious connotations to the Tenochtitlan people. To the Europeans, it symbolized the triumph of good over evil. National Anthem: "Himno Nacional Mexicano"
Adopted in 1943, the lyrics were written by poet Francisco Gonzalez Bocanegra and the music by National Band conductor, Jaime Nuno Roca. 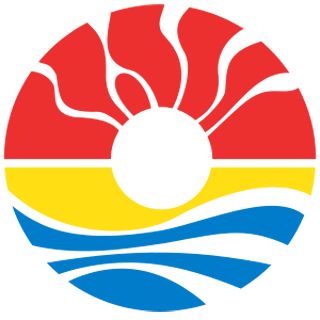 This is the coat of arms of Benito Juarez, one of the nine municipalities of the Mexican state of Quintana Roo. Most of its population reside in the municipal seat, Cancun. It is named after the 19th century president and statesman, Benito Juárez.